The Deliverable D2.3 has been finished by the EmerGent consortium and is available under the Publications section of our website. The specific objective of this Deliverable is to develop and update the Theory of Change presented in D2.1 and to test out and extend the hypotheses developed through the initial case study of the London riots presented in D2.2. Three new deliverables have been finished by the EmerGent consortium and can be reviewed under the Publications section of our website. Deliverable 3.7 is the result of the Tasks 3.5 “Analysis of potentials of citizens’ involvement in the EMC” and 3.7 “Analysis of potentials using social media for Emergency Services in the EMC”. The Deliverable is a public document and is available for download. Based on the user requirements presented in D3.4, the aim of Deliverable 4.7 is to develop a flexible visualisation and filtering concept that can be applied to the three aspects of visualisation and filtering in EmerGent (visualisation framework for researchers, ES interface, Citizens app) as well as social media data visualisation and filtering for emergencies in general. Deliverable 7.7 provides a description of the European Data Protection and Privacy laws relevant to the EmerGent Project. This deliverable describes the activities and results of the two EAB workshops and how they have been integrated into the project. 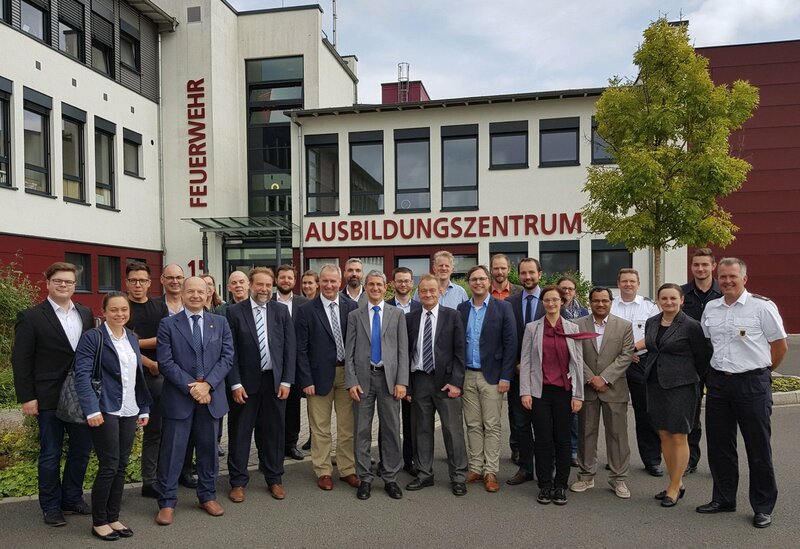 Representatives of the EmerGent project participated at this years “Virtual Operations Support Teams” (VOST) and “Virtual Operations Management Teams” (VOMT) Workshop in Hamburg, Germany. During the workshop, different aspects about social media for the use of hazard prevention were discussed. The VOST intends to evaluate social media during a disaster situation to support the appraisal of the situation. This workshop was for experts and was based on the previous DGSMTech. This year the focus was at operational tactics. The insight of the EmerGent project contributed to the workshop, so that it was possible to test this during the Hamburg Marathon. D4.2 provides an updated Semantic Data Model and a sophisticated ontology that models and processesses emergency related information semantically. Another update is handed in with D4.4 that provides unique information mining techniques transforming high quantity low quality data into high quality low quantity Information. For further information check the summaries provided in the Publication section of our web presence. This document gives an updated description of the “requirements engineering methodology” applied in EmerGent. 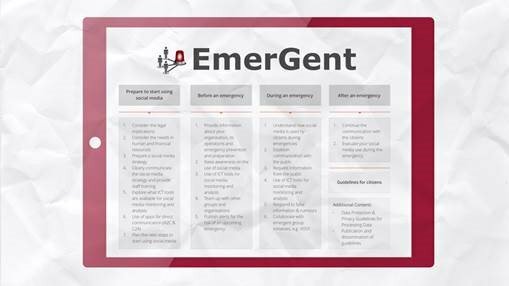 The document also presents second version of user requirements for including social media in the emergency management for both ES and citizens. Further information are available in the summary of the Deliverable. The “Vereinigung für Gefahrstoff- und Brandschutzforschung“ (VGBF) is an association dedicated to research dangerous material and fire prevention in Salzburg, Austria. During this year’s annual conference, the use of geographical information systems (GIS) was presented and how social media can be a potential addition to them. The resulting synergy effects were presented during the conference. The EmerGent project and latest results of the research about the utility of social media for the emergency services were also presented. In addition, the representatives of the project participated and helped to form a workshop about the use of social media for the civil hazard prevention. In this deliverable a concept is established regarding validation and verification in EmerGent. Main findings can be found in the summary listed in the Publications part of our website. The EU Project Review Meeting took place on Wednesday, 16th of December 2015 in Brussels and was very successful. All results of the first 18 months were presented and evaluated. EmerGent received valuable and helpful feedback and is allowed to continue with the 2nd period. 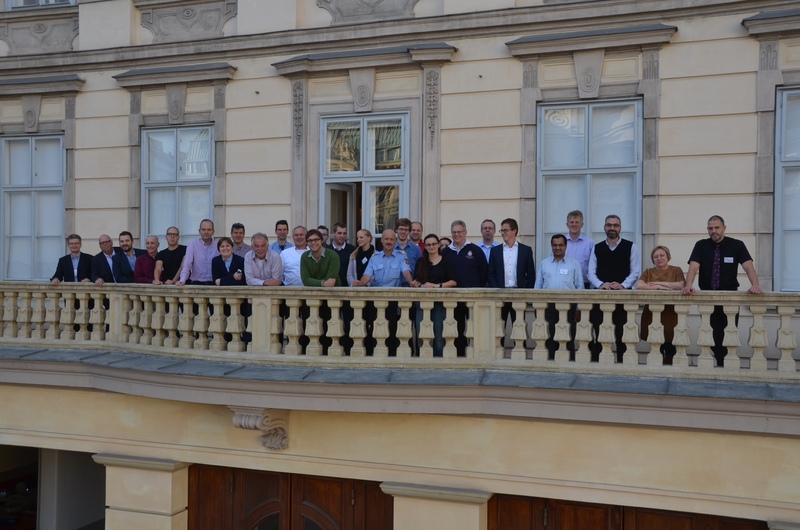 The End-User-Advisory Board has met on the 18th November in Vienna, Austria in order to discuss the current scientific and technical status of EmerGent.